When Visit England launched English Tourism Week in 2012, the term staycation was still a word devised by PRs to persuade journalists to write eye-catching headlines and features about domestic. Today, it’s part of the travel vernacular. 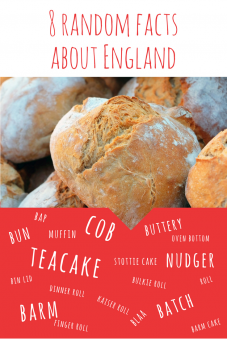 That’s not one of our random facts about England; it’s what we call an intro. Right here, right now in 2018 (at the time of writing), the popularity of domestic holidays in the UK continues to soar. According to the latest holiday report from the Association of British Travel Agents (ABTA), the number of us taking at least one staycation will rise again this year. Good job that the tourism sector has boomed proportionally with demand. Step back 10 years and self-catering holidays in the UK were more likely to involve a stay in someone’s granny flat than some of the Pinterest-perfect holiday rental properties now available. Many of today’s holiday houses in England feature on the pages of glossy interiors magazines and draw praise from Instagrammers the world over. But glamorous holiday cottages aside, why on earth would anyone want to holiday in England? Ok, maybe that’s stretching the truth too. But Torbay (encompassing Torquay, Paignton & Brixham) is at the forefront of a 20-mile stretch of coastline that is most commonly known as the English Riviera. So called, they say, for its similarly mild climate and stunning bays as one might find on the French Riviera. Disagree? 2-miles of the coastline is actually a UNESCO recognised Global Geopark, which is officially defined as “landscapes of international geological significance”. So there. You’d be forgiven for thinking this was true on any given weekend morning on the winding lanes of Yorkshire’s undulating landscape heaving with avid cyclists. In 2014, Yorkshire hosted the first ever Grand Depart (first section of the Tour de France) on English soil. To the people of Yorkshire, cycling was already massive in their largely rural region. But the arrival of 2.5 million spectators and the world’s best pro cyclists firmly put it on a rider’s map. Okay, okay, no need to argue. There is a genuine fact here: more of the Isle of Wight landscape is designated as an Area of Outstanding Natural Beauty (AONB) than Cornwall (when viewed as a proportion of total land mass). More than half (189 square kilometres to be precise) of England’s largest offshore island has been awarded this status that protects the landscape and coastline. While Cornwall’s AONB amounts to 958 square kilometres, but the county of Kernow itself totals around 3,563km2. Well that’s not totally accurate. We’re referring to the number of different names used to describe a bread roll. Depending on where you are in England, you’ll likely call it something completely different to someone 100 miles away in another region. 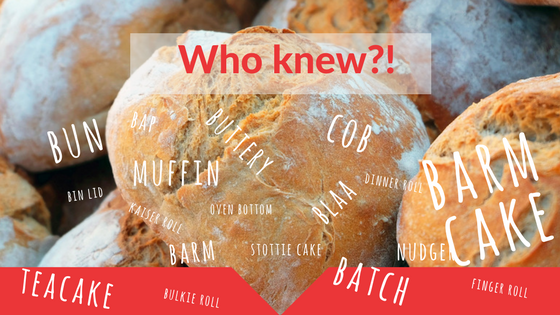 A 2014 survey conducted at Manchester University revealed a whopping 13 different names for bread rolls. Start hungry if you want to try them all. Joking! English wine is booming and the best vintages are beating other, international producers to award wins. According to official figures from the Wine Standards Branch of the Food Standards Agency there are 502 commercial vineyards in England. That’s still tiny compared to wine stalwart, France, but the number of hectares dedicated to growing vines in England has doubled in the last eight years. That’s set to grow by a further 50% in the next two years. Chin, chin! Not any more! For years gin was referred to as Mother’s ruin due to its reputation for making its fans sad, post sip. What’s more, a G&T was really nothing to get excited about on a night out. You only drank it if you couldn’t bear the thought of a vodka after the events of your last night out. In 2016, gin sales in England broke £1bn for the first time ever. In the 12 months to the end of September 2017, 47 million bottles of gin were sold in the UK. Okay, not just in England, but we bought most of them. Surely. They brew it instead! Bye bye home brew, hello craft beer. Another generation, another beer and brewing innovation. An Englishman or woman still loves beer. The craft beer boom has taken the number of craft breweries popping up across the country to more than 2,000. Pubs across the country are stocking beers from English brewers. And companies like Chapel Down in Kent produce lager, wine and bubbles. Not! That’s the phoniest of random facts about England. Our seaside towns have been revived. Local artisan producers are drawing tourists to purchase their wares. The UK’s fascination with TV food programmes and proper coffee has brought fine dining restaurants, gastro pubs and classy cafes to almost every town and village, both urban and rural. The 2012 Olympics inspired a nation to get active and we can’t get enough of the great outdoors, whether that’s with a seat pad and cycling helmet, rambling in the dales, or hitting the amazing English surf. There has never been so much choice of holiday accommodation in England, whether you need a family cottage in Cornwall, a large holiday house in Norfolk, a rural retreat in the Peak District, or a house with sea views in Sussex. And you’ll be spoilt for choice of food options, whether buying in or eating out. We can’t promise you’ll get the right bread for your sarnies though. Good luck with that! Enough random facts about England. Soak up English Tourism Week and book a staycation.